Accomack County Schools are closed for Spring Break this week. Therefore, we will not be holding Tales 4 Tots. Our next program will be held on Thursday, April 25 at 10 a.m.--theme: "Dinosaurs!" DUE TO THE WEATHER FORECAST OF RAIN ON MONDAY, MARCH 25TH, THE LIBRARY WILL instead BE CLOSED ALL DAY ON THURSDAY, MARCH 28 FOR THE PARKSIDE DOOR INSTALLATION. Sorry for any inconvenience. Tales 4 Tots will be having a field trip on Thursday and will not be meeting at the library. For further information, please email chincoteagueislandlibrary@yahoo.com. Thanks! Our new park side door is begin installed on Monday, March 25, so the library will be closed all day. We will be open our regular time on Tuesday, from 10 a.m. to 5 p.m. Sorry for the inconvenience. Free classes on how to use a computer and internet. Beginning Friday, March 1 at 3 p.m. Four separate classes March 1, March 15, March 29 and April 12. To register, email: chincoteagueislandlibrary@yahoo.com. Class size is limited, so please register early. Please see flyer below. Tales 4 Tots is canceled today, Thursday, January 31 due to a two-hour school delay because of the extreme cold weather. Next week--NASA will be at the Library! The library will be open at 1 p.m. Stay Warm! Tales 4 Tots, Thursday, January 31 @ 10 a.m. This coming Thursday, Diane Fisher will be reading about "Colors." 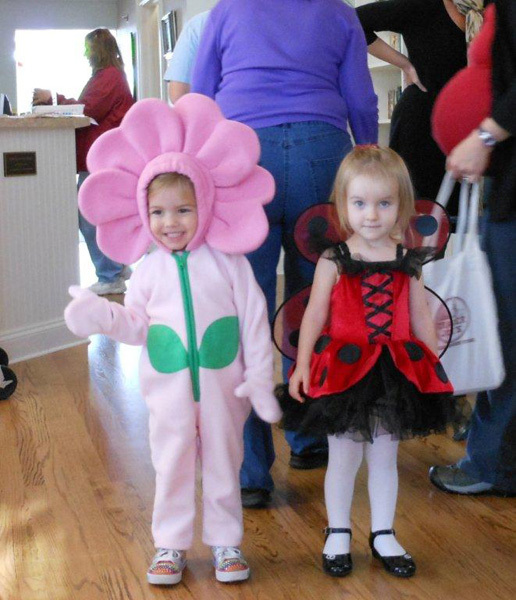 Our craft will be finger painting--so be sure to dress your kids in their old clothes or an old adult t-shirt! We do have child-size aprons on hand. Should be lots of fun! Due to the weather, the library will be closed today, Monday, January 14, 2019. We will be open tomorrow at 10 a.m. Stay warm and safe! TALES 4 TOTS - January 17 at 10 a.m. This week, we'll be reading stories about Bears and Hibernation! Hope to see you at the Library. 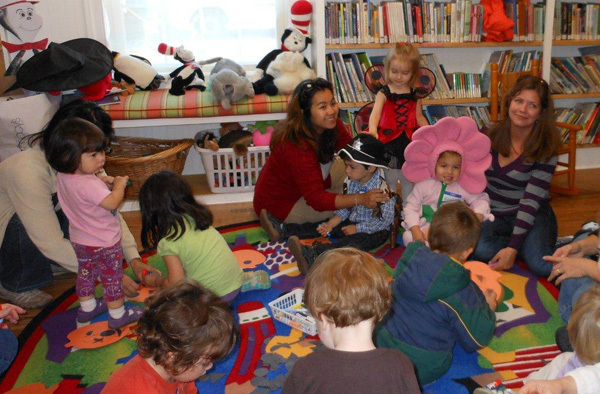 Beginning Thursday, January 10 at 10 a.m. at the Chincoteague Island Library and continuing through May 23, TALES 4 TOTS, our weekly pre-school story time will resume. Stories, songs, finger plays and crafts for children from 2 - 5 years old. Children must be accompanied by an adult. The program will be canceled if Accomack Schools are closed. Please check our facebook page or contact us at chincoteagueislandlibrary@yahoo.com with questions. January 10 - Pajama Party! Come in your PJ's, robes and/or slippers. We'll have a "Show & Tell" for children's stuffed animals! The library will be closed all day on Thursday, December 20 due to building maintenance. The older section of the building will be having insulation blown in under the building in an effort to reduce utility costs. Thank you in advance for your understanding. Please join us at the Library for relaxation and fellowship on Thursday, December 6 from 1 - 3 p.m. We will be reinstituting our Adult Coloring Program with a twist! This winter, we are inviting patrons and visitors to bring along crafts to do as well--sewing, knitting, etc. All are welcome! This program will continue through the winter months. For further information, email us at chincoteagueislandlibrary@yahoo.com. See YOU at the Library! 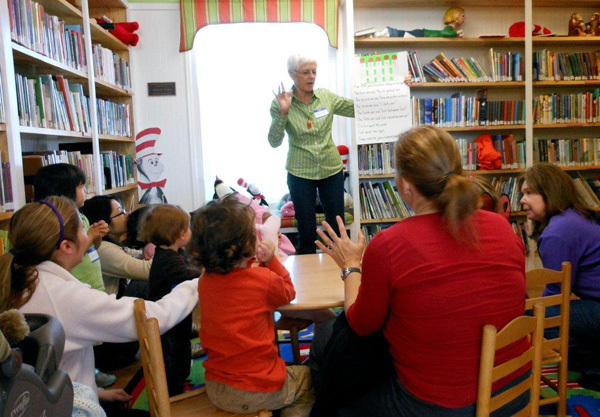 Tales 4 Tots - Thursday, November 15 @ 10 a.m.
Our special guest this week is Diane Frey who you all may remember visited the Library for our first summer Tales 4 Tots in June. She has some fun stories and crafts in store for us about "TURKEYS!" Please remember that there will be no Tales 4 Tots the following Thursday, November 22 (Thanksgiving). We're looking forward to seeing many familiar and new faces. This program is free and open to all--no pre-registration required. So...bring your 2 to 5 year olds for some pre-Thanksgiving fun! ALTHOUGH THERE IS A SCHOOL DELAY THIS MORNING, TALES 4 TOTS WILL STILL BE HELD AS USUAL. MRS. ELLEN RICHARDSON WILL BE BRINGING THE SCHOOL BUS TO THE LIBRARY! SONGS, STORIES, AND CRAFTS ABOUT SCHOOL BUSES...AND A CHANCE TO CLIMB ON BOARD! THURSDAY EVENING, OCTOBER 4, 2018 AT 7 P.M. JOIN US FOR POETRY READINGS BY MATTHEW SPIRENG AND OTHERS WHO WISH TO SHARE. Tales 4 Tots begins on September 13 @ 10 a.m. 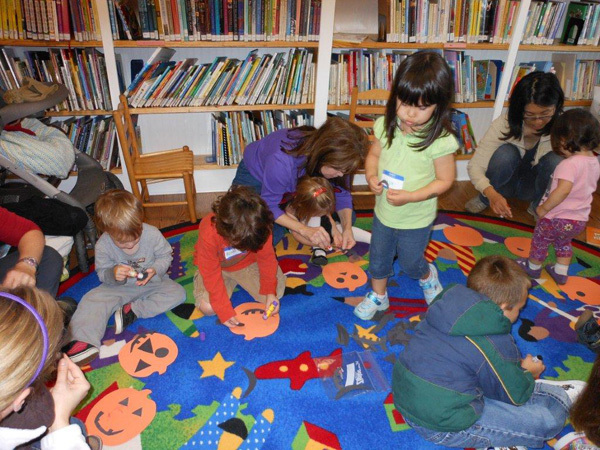 The fall/winter program for Tales 4 Tots will begin on Thursday, September 13 @ 10 a.m. at the Library. The theme is "THE PEOPLE IN OUR NEIGHBORHOOD." Our first special guest will be Ellen Richardson, Council person and school bus driver, who will bringing the school bus to show the children. Stories, songs, finger plays, and crafts for children 2 - 5 years old. Children must be accompanied by an adult. This program is made possible by the generosity of the dedicated volunteers, private donations, and the Town of Chincoteague. Thanks to all the volunteers, special guest, parents, guardians, children, private donors, and the Town of Chincoteague for a fabulous summer! We experienced record attendance and our special events and our weekly programs. Over 50 students participated in our Summer Reading Challenge spending many hours of summer reading. We are already planning for a special 2019 Summer! 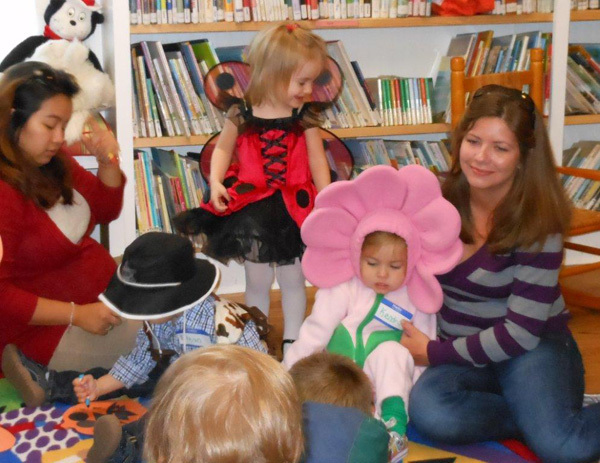 Children of all ages are invited to a program sponsored by the Chincoteague Island Library. On THURSDAY, AUGUST 2ND @ 10 a.m., magician Chris Yerlig's show blends silent pantomime comedy, movement illusions, sleight of hand magic tricks and balloon wizardry, to create an original vaudeville show that is funny imaginative and full of surprises. The unexpected is to be expected when audience volunteers are invited to join him to assist with illusions. Location: Social Hall of the Christ United Methodist Church. (Parking lot next to US Post Office). This performance brought to you thanks to private donations & the Town of Chincoteague. Today at the Christ United Methodist Church Social Hall at 10 a.m., the Chincoteague Island Library will be hosting the Salisbury Zoo 2 You program. This program is made possible through donations from private citizens and the Town of Chincoteague. Open to children of all ages--however, children must be accompanied by an adult. Zoo 2 You Program July 12 @ 10 a.m. This year the Salisbury Zoo 2 You program will be held at the Social Hall of the Christ United Methodist Church. This program is geared towards older children but younger children always enjoy seeing the animals. Therefore it is open to all children accompanied by an adult. The program is sponsored by the Chincoteague Island Library and made possible through private donations and the Town of Chincoteague. Questions? Email the library at chincoteagueislandlibrary@yahoo.com. TALES 4 TOTS - STORIES, SONGS, & CRAFTS FOR CHILDREN 2 - 5 YEARS OLD. * BEGINS THURSDAY, JUNE 28 AT 10 A.M. AT THE LIBRARY WITH THE THEME "BACKYARD BIRDS." JULY 5 - "BEACHES," JULY 19 - "ROCKETS" - NASA OUTREACH, AUGUST 9 - "MUSIC", AUGUST 16 - "READING ROCKS." YOUNG EXPLORERS - PROGRAMS & ACTIVITIES FOR CHILDREN 6 - 10 YEARS OLD. * BEGINS THRUSDAY, JUNE 28 AT 10 A.M. AT THE THEATRE ANNEX ACROSS FROM THE LIBRARY WITH YOGA WITH CHUCK & LOU. JULY 5 - CHINCOTEAGUE BAY FIELD STATION, JULY 19 - DOGS, AUGUST 9 - MUSIC WITH GREG SHUPE, AUGUST 16 - ROCKETS WITH NASA OUTREACH. *Children must be accompanied by an adult. The above programs begin at 10 a.m. Special Programs (for all ages): July 12 at 10 a.m. - Salisbury Zoo 2 You Program - held at the Social Hall of the Christ United Methodist Church. July 26 at 1 p.m. - Stories and crafts and a visit from one of Misty's descendants from the Chincoteague Pony Centre at the library. August 2 at 10 a.m. - Magician Chris Yerlig at the Social Hall of Christ United Methodist Church. August 16 at 11 a.m. - Summer Reading Challenge Wrap-up party and drawing for prizes. Chincoteague students from grades K - 12 are cordially invited to an OPEN HOUSE ON THURSDAY, JUNE 7, FROM 4 - 7 P.M. to sign up for this summer's reading challenge. Come in anytime during the above hours to register, receive your reading logs to keep track of your summer reading, and (if you don't already have one), get your own library card*. Refreshments will be served and each student will have a chance for a raffle drawing of area gift certificates. The Reading Challenge runs until August 17 at which time the winner of the raffle will be announced. Winners must hand in their completed reading logs and be present on August 17 at 11 a.m. to win. Small token prizes will be handed out periodically for every 100 minutes of completed reading. See you at the Library! *Parents must accompany children who wish to obtain a library card. Please bring a VA driver's license or proof of residency. thanks. Thursday, June 21, 2018 at 6 p.m. aboard the Martha Lou with Captain Carlton Leonard/Daisey's Island Cruises. Enjoy music, wine, bottled water, Subs from Steve's Express II, and dessert. $40 per person (adults only please). Reserve early--seating is limited! Tickets may be purchased at the Chincoteague Island Library or Sun Dial Books. Call 757-336-3460 or email chincoteagueislandlibrary@yahoo.com for more information. Help us to celebrate National Library Week by stopping by the Chincoteague Island Library. New visitors and old friends are welcome. Everyone who comes in will have a chance to enter a free drawing for a library tote bag of library goodies and some merchant gift certificates! Informational tours will be conducted on Tuesday 1t 2 p.m. and Thursday at 3 p.m.
Join us every Monday afternoon between 1 & 3 p.m. Relax...visit...color! Use our colored pencils, coloring books, pages and pencil sharpeners OR bring your own! Lots of fun. TALES 4 TOTS - IMPORTANT! During our Winter/Spring Tales 4 Tots (January 6 - May 25, 2017), the program will be canceled whenever the Accomack County Schools are closed or have a delayed opening. Please check our Facebook page or the What's New page on our web site. Thank you.